Imagine that you are living in a country where most of your family members are now detained in mass detention camps where they face inhuman torture including waterboarding! You ask – why? Well, according to the government, as an ethnic and religious minority your family members are perceived as potential threats to the law and order of the country. You ask – isn’t such a racist discriminatory practice against someone born into a family that is not part of the majority ethnic group? What happened to all those rights enshrined in the Universal Declaration of Human Rights? What about the international laws prohibiting such crimes against a people? Isn’t our state a member of the United Nations? Did not our government ratify such laws and are expected to live by such binding articles? While we may hesitate to use the term ‘genocide’ yet for what the Uyghurs are facing these days inside China, but the signs are all too evident to recognize early signs of ethnic cleansing. It’s ugly and nothing to feel good about Xi Jinping’s China. The testimonies of detainees who have passed through these centers, that Amnesty International claims are being run like wartime concentration camps, are replete with reports of torture including waterboarding, electrocution and force-feeding. According to eyewitnesses, the situation is so horrific that some of the detainees have even committed suicide, which is forbidden in Islam. The Chinese government has incarcerated everyone from professors, journalists, comedians, editors and poets to nursing mothers, children, the elderly and even the terminally ill inside these detention centers. Lately, the Xi’s government has announced a five-year plan aimed at “Sinicizing” Islam to make it “compatible with socialism”. Activists, however, warned that this campaign would gradually lead to total eradication of Islam – with which some 23 million Chinese still identify in the country. 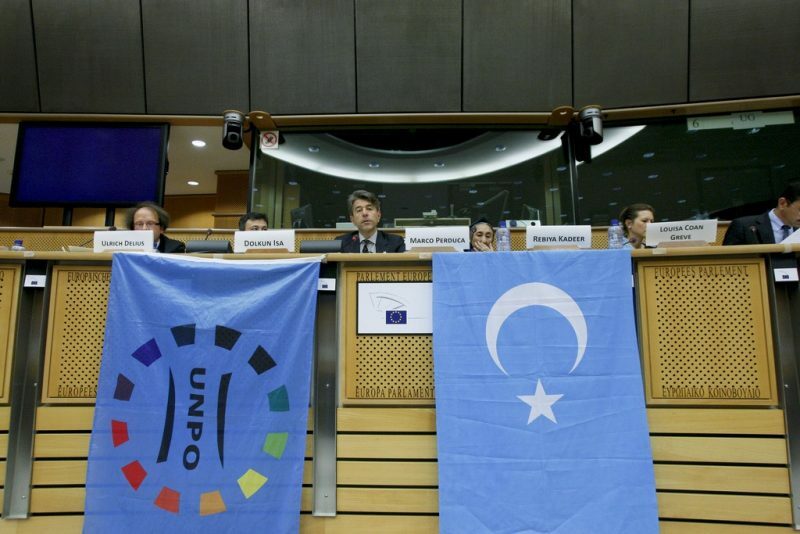 Thanks to the Chinese government propaganda, the Uyghurs are perceived as troublemakers by most Han Chinese and as such, are told that these ‘terrorists’ must be restrained and ‘reeducated’ or ‘reprogramed’ to accept the new reality in China that has no room for dissension, dialogue and debate. Not surprisingly, the frustrated Uyghurs who increasingly find themselves cornered against the wall and are denied the rights to their culture, plus the political and economic windfalls that have hitherto benefitted the Han settlers to their mineral-rich region have sometimes reacted violently by attacking Han settlers and the trigger-happy police with knives. As we have seen elsewhere, ethnic riots do not occur in a vacuum. If the young Uyghurs, a minority group comprising roughly half the population of Xinjiang province, had not lost trust in the state and its institutions it is difficult to accept that such riots could have occurred. Mao’s successors have resorted to Sinicization (i.e., Hanification) of the region. They have changed the demography of the region by settling Han Chinese from other parts. They have curtailed the region’s millennium-plus-years old rich Muslim culture and are practicing widespread religious repression against the ethnic Uyghurs. Authorities have banned “abnormal beards,” religious names for children, fasting during Ramadan and restricted attending weddings and funerals. They have conducted forced abortion on Uyghur women. They have closed down Qur’anic and Uyghur language schools to cut down their Islamic and cultural ties with other Muslims. Because of the Mandarin-based educational policy of the state, the Uyghurs can’t pass and find jobs in their own land. Their intellectuals are imprisoned and anyone talking with visitors from outside, esp. foreign reporters and human rights group, are suspected of being disloyal, and often risk prison times. Police question them on the street, demanding to know where they’re going and why. Metal detectors, facial scanners and document checks are routine. Surveillance cameras are everywhere, even in some public restrooms. “In one Uighur mosque, I counted 40 of them,” writes Peter Martin for the Bloomberg.com who recently visited Xinjiang. During his entire stay, he could not hear a single call of prayer (adhan) from any mosque. In essence, the once dynamic region in the Silk Road that woke up for centuries with the adhan heard from the minarets has been turned into a police state where Uyghurs are afraid to speak with anyone or even call adhan for believers to gather and pray together. The communist party-state has institutionalized unfathomed discrimination based on Uyghur’s distinct religion, habitus, physiognomy, language culture and socioeconomic status. In so doing, they have only widened the gap between the Han settlers and the indigenous Uyghurs. It developed Xinjiang as a penal colony, as a nuclear testing ground and dumping ground for radioactive wastes (that is responsible for unusually high birth defects and mortality rate amongst the inhabitants) and as a buffer against invasion, and as a supplier of raw materials and living space for an overpopulated country. In August 2018, the United Nations called upon China to end the detention, but government officials denied the existence of the camps. How long can the criminal regime of Xi Jinping deny what is so obvious and well-known? While one can understand Xi’s loftiest goal of transforming China into one of the world’s great powers one cannot excuse his gross violations of human rights. Although Xinjiang represents just 1.5 percent of China’s population of 1.4 billion and 1.3 percent of its economy, the Alaska-sized Muslim-majority region borders eight countries and sits at the geographic heart of Xi’s signature Belt and Road Initiative and serves as a crossroads for a railway link to London and a route to the Arabian Sea through Pakistan, where China is financing a $62 billion port and transportation corridor called the CPEC (China-Pakistan Economic Corridor). It’s a trillion-dollar plan to finance new highways, ports and other modern infrastructure projects in developing countries that will connect them to China’s markets and put them in China’s debt for decades to come. Xi’s authoritarian regime has spent vast sums of money on building up cities in Xinjiang to attract companies and fuel economic growth in the relatively poor region. Concerns about PRC’s diabolical crackdown policy of the Uyghurs and lawlessness in Xinjiang, however, don’t appear to be reassuring investors. Almost no foreign companies have located there, and the region’s economy slowed last year. Although China sees that as a temporary setback, unless Xi changes his criminal – apparently the most intense – campaign of coercive social reengineering since the end of the Cultural Revolution and stops its ethnic cleansing crimes against the minority Uyghur Muslims, and instead focuses in nation-building through integration that benefits all (including minority Muslims and Christians) he will be forced to live with the failed Soviet and Balkan experience. Is that outcome a desirable one for the PRC and its president who has already been dubbed as the “world’s most dangerous opponent” of open societies? It is also feared that this repugnant campaign of mass detention of Muslims is set to expand, as the regional governments within PRC with sizeable Muslim populations are dispatching officials to detention centers in Xinjiang with the explicit aim of learning to and adopting the same criminal measures. It is important for the international community to condemn the Chinese ethnic cleansing crimes against the minority Uyghur and demand a release of all those detained immediately. If Xi’s authoritarian regime fails to comply then the international community should adopt a “Global Magnitsky Act” to sanction Chinese officials that are complicit in the human rights violations occurring in Xinjiang. The freezing of assets and exclusion from banking systems overseas are within the power of concerned governments. It is equally important for all the developing and third world countries where China has invested heavily in recent years that they use such as a point of strategic leverage and encourage Beijing into compliance with international human rights norms and stop its horrendous crimes against the Uyghur. For China to be great again, it must earn the respect and trust of the world community by respecting the human rights of its minorities to live and prosper as equals. It simply cannot afford to behave like a rogue state that arrogantly sees the Soviet Gulags and Nazi Concentration Camps as models to copy. Set the Uyghurs free now, Mr. Xi. Otherwise, history will treat you the same way it has treated despots like Hitler and Mussolini, and many others that followed their inglorious trail.